Las Vegas, 7 January 2014 – From the studio to the DJ booth – great sound gives you the power to move the crowd. 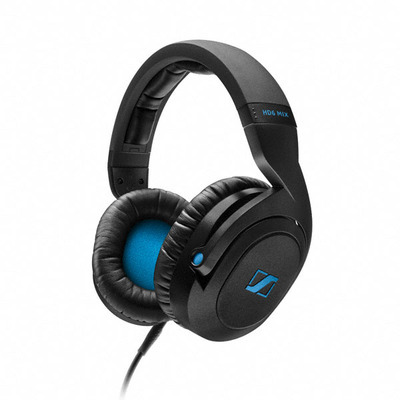 Driven by this ethos, audio specialist Sennheiser has led the professional audio market for over two decades with its iconic HD 25 headphones used by the world’s leading music producers and DJs. Now, the Sennheiser legend continues, with an all-new range of professional DJ and Mixing headphones. Designed for the most demanding users and punishing pro environments, the HD8 DJ, HD7 DJ and the HD6 MIX have been developed in conjunction with some of the world’s top DJs. Whether creating music or moving crowds: The three new headphones deliver excellent, dynamic sound reproduction with the highest levels of external noise attenuation. The durable materials, exceptional build-quality and unrivalled product support make these the headphones of choice for professionals. Designed for the most demanding users and punishing pro environments, they have been developed in conjunction with some of the world’s top DJs, among them Bob Sinclar, Luciano, Andy Baxter, Missill and Davina. Naturally, the best sound quality tops their list of demands: the new headphones deliver excellent, dynamic sound reproduction, inspired by the legendary HD 25. “Drawing on our success based around the HD 25 and extensive experience in high-end audio, the DJ range applies Sennheiser’s proprietary acoustic system to answer the needs of different performing and production applications”, says Ivan Kuan, Head of Product Management, Sennheiser Consumer Electronics. The HD8 DJ is dedicated to the needs of professional DJs with truly excellent sound reproduction, while the HD7 DJ offers an engaging, dynamic sound that’s perfect for playing live. Both delivering a mid-low end emphasis, the sound remains tight and never overwhelms, with clarity retained in the high frequencies. Meanwhile, the HD6 MIX, a model aimed primarily at studio-based music creation, delivers a balanced, accurate sound for mixing and monitoring work. “To hear every detail, the elliptical, circumaural ear cups were specially designed to ensure a perfect fit for more users. This provides excellent external noise attenuation that can cope with very high sound pressure levels for safer listening without turning up the volume excessively,” continues Ivan Kuan. The DJ headphone range is built for complete user comfort for hours at the decks, in the studio or performing. The elliptical shape of the ear cups also avoids pinching the ears and is enhanced by interchangeable ear pads for comfortable listening during long periods of use. For hassle-free one-ear monitoring, both DJ models feature swivelling ear cups with up to 210° of movement and three different wearing positions. With both coiled and straight 3m high-performance cables included that can connect to either ear cup, these headphones can adapt to suit any individual preference. A bayonet twist lock makes for secure connection to the headphones.